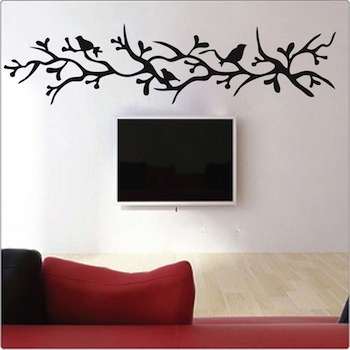 Spice up your walls with the Branch with Birds vinyl wall decal! Pop your walls with this vinyl creation from Trendy Wall Designs. 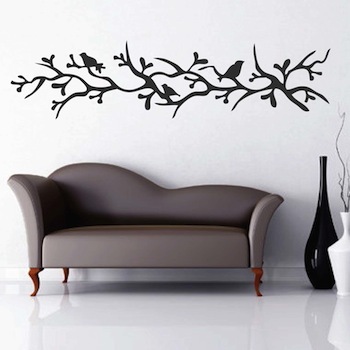 Bring some elegance to any room with the Branch with Birds vinyl wall decal! Choose a size and color that suits your space. I was a bit worried about the decal staying on a textured wall. I needn't have worried it is just fine. Easy to put up. I think it took me under 15 minutes. Great product. Loved this - once you figure out the directions, very easy to use. 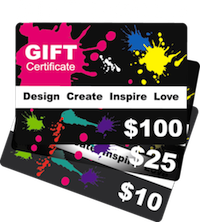 I used to stencil with paint and this is the way to go! Will most definitely look at this company again if I have another need for a room stencil. No issues, easy to work with, arrived packed well and in a very timely manner. I can't believe how fast you process and ship your orders. I have never seen that before. I ordered yesterday and I already have a shipment confirmation. Never seen before. In addition to have a very nice website, easy to navigate, not cluttered, you have videos ( extremely useful), and a very wide selection to chose from. I have only one word to add; Bravo! Lucie C.